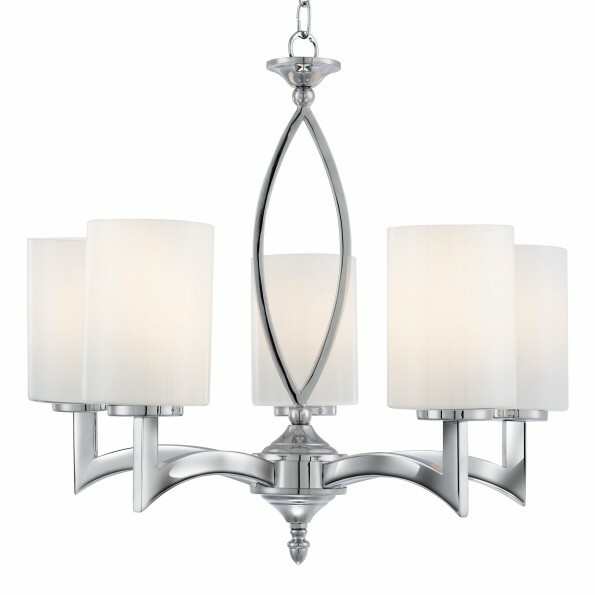 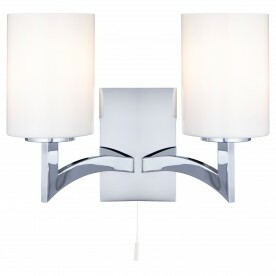 This Gina Chrome 5 Light Fitting with White Glass Cylinder Shades is modern and elegant. The sleek chrome finish fitting features a split, oval heart shaped column, with curved arms and five opal glass shades, which provide a soft lighting effect. 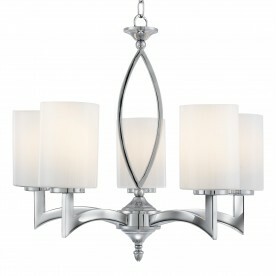 And it provides a focal point for any contemporary living space.